I have had the honor of serving as the President of the Habersham Humane Society in Clarkesville, Georgia for one and a half years now. We have a strong team of volunteers who are committed to saving the lives of as many animals as possible. We save dogs that would be euthanized and raise money to send these precious dogs to “forever homes,” around the country. It does take a village to save these animals lives and it is a privilege to do our piece of this vast puzzle that makes a difference in so many lives. 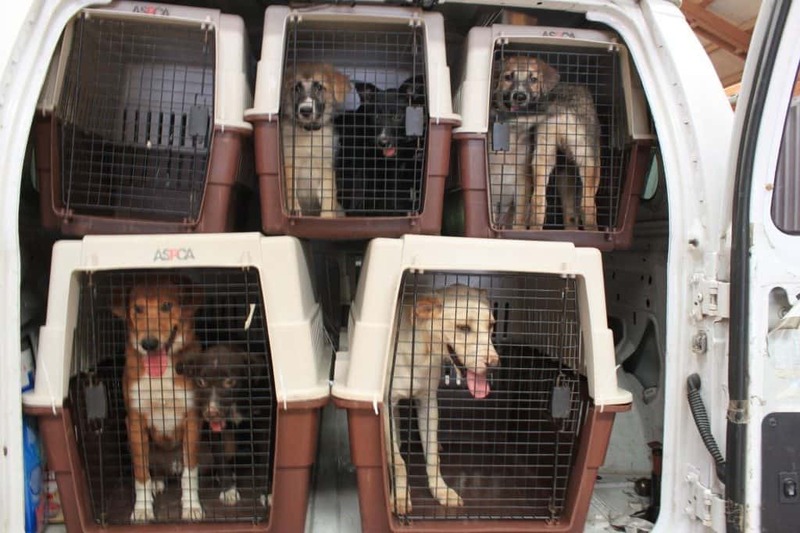 Our humane society works with this incredible group called Tailwaggers 911, to place our dogs in forever homes. We have to foster them for a while until the transport takes them to Wisconsin. Recently, I have been fostering over 25 dogs for over a month and it has finally taken its toll. Feeding, cleaning, vetting, and loving this many dogs has been a labor of love. The dogs stay at our stable in stalls until they get picked up. They finally left last Friday on a transport to Wisconsin. On this last transport, Elain Brown drove all the way from Georgia to Wisconsin by herself to save each dog’s life. Elain is my shero! If you wish to donate to our tireless work and save a dog: www.habershamhumane.org. Our motley crew of devoted animal lovers greatly appreciates it!